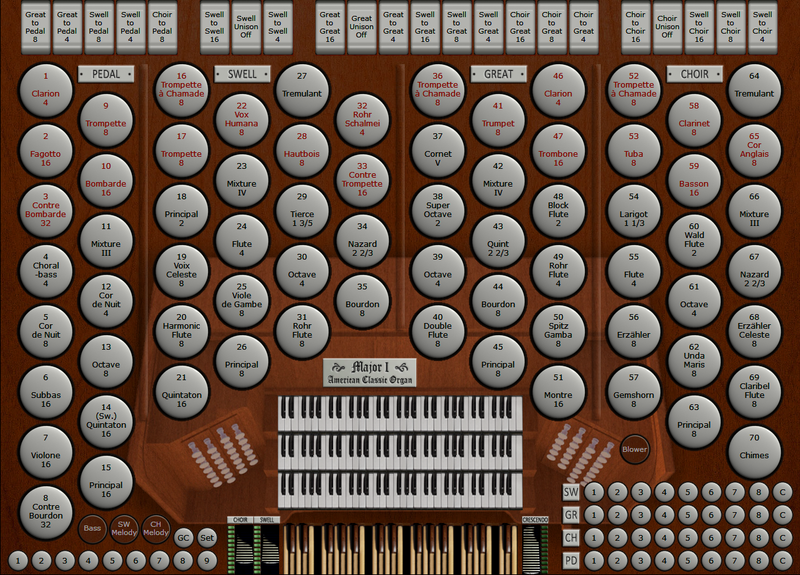 Virtual Pipe Organs for use with Milan Digital Audio’s Hauptwerk Software. You can also download a PDF with all the descriptions on the web site here. 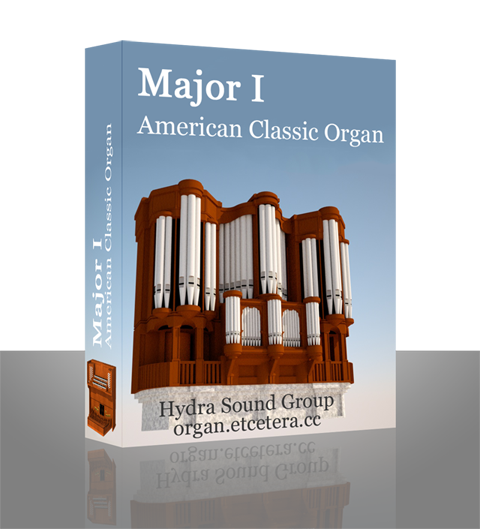 The Major I Organs are the first in a series from the Hydra Sound Group, a cooperation of Pipe Organ recording companies and individuals from all over the world. Etcetera Consulting is the coordinating and publishing partner for the Group. The group represents many of the most skillfull contributors to the Virtual Pipe Organ community, with expertise in recording, playing, noise reduction, voicing, UI design and programming. Members of the group have contributed to more than 20 of the organs currently available, and are involved in several organs soon to be released, some here at Etcetera Pipe Organs, but also as consultants and suppliers to other Virtual Pipe Organ publishers.